Recordings of refugees speaking about their memories of being evacuated to England as children during the Spanish Civil War feature in a new animated film. The recordings made by the University of Southampton’s Dr Alicia Pozo-Gutierrez’s team of volunteers help illustrate the emotions and experiences of 4,000 Basque children who fled to Southampton in 1937. The child refugees, or niños, sailed on the ship SS Habana from Bilbao to Southampton to escape bombing in the Basque town of Guernica. 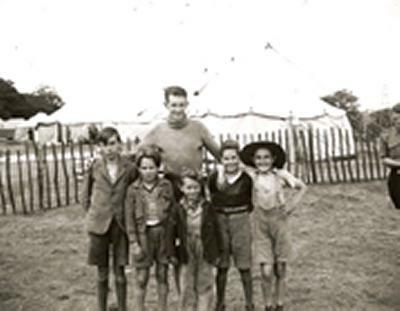 On arrival, they were housed just outside Southampton in a huge make-shift camp at North Stoneham near Eastleigh, before eventually being sheltered in orphanages or hosted by English families. The film ‘To Say Goodbye’ tells of the emotional impact of the evacuation on the refugees – the loss of childhood, the hurried separation from their parents and how families were torn apart by a brutal conflict. Most of the children returned to Spain after the civil war, but some remained, having lost their families in the conflict, or were prevented from returning when the Second World War began. The film concentrates on the experiences of fourteen of the 250 who never went back to Spain. ‘To Say Goodbye’ is produced by IZAR Films and Rec Grabaketa Estudioa and is directed by Matt Richards. It has been selected for the 60th San Sebastian International Film Festival, where it will have its world premiere on 28 September 2012, participating in the Zinemira section and competing for the Serbitzu Award. In May 2012, the University of Southampton hosted the Basque Children of '37 Association’s 75th Anniversary Reunion and held a symposium examining the story of the children as told through documentary film. A special exhibition by Modern Languages and Special Collections at the University was also held in the Hartley Library.